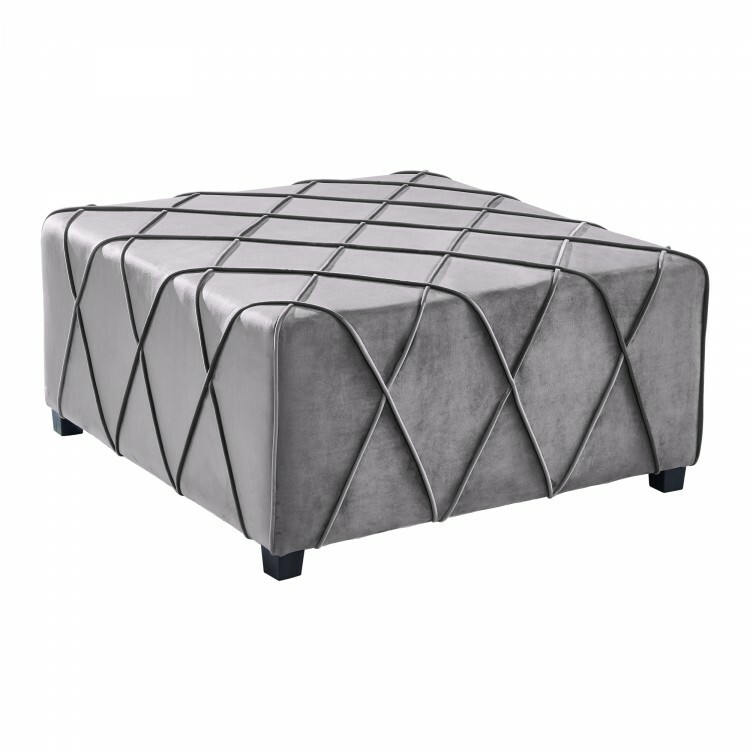 The Armen Living Gemini contemporary ottoman is an elegant piece sure to enhance the style of any modern household. 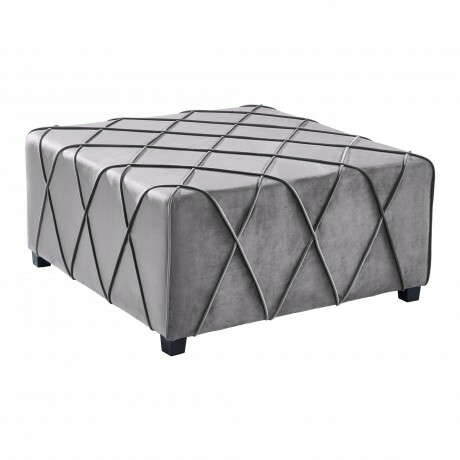 This beautiful ottoman features a chocolate truffle-like design that resonates sophistication. The Gemini's frame is made of durable wood while the other tufted shell is plushily upholstered. 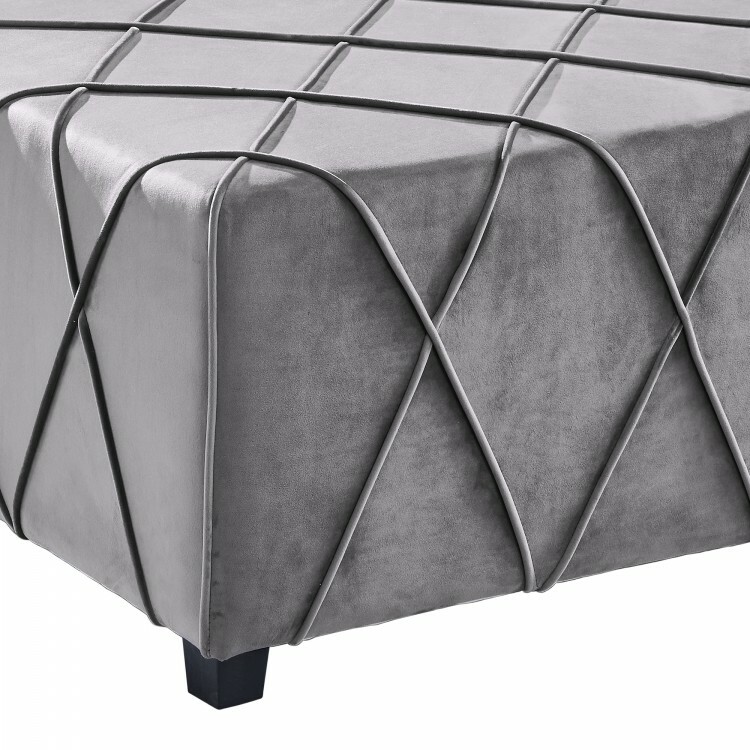 The Gemini is available in your choice of silver linen or grey velvet with exquisite piping accents. Product Dimensions: 38"W x 38"D x 17"H SH: 17"